Hello! And thanks for checking out my first build! *Let me start by saying that I am extremely lucky to have this. I want to thank my parents so much for giving me the opportunity to build this computer. My gaming history started way back with the Nintendo DS. I loved that thing and I would take it everywhere with me! Eventually, we got a Wii, and I started to play video games even more. After we moved, I started getting interested in my Dad's laptop. After a lot of pleading, I convinced him to buy Minecraft for me, which is what sparked my interest in computers (cheesy I know...) . So after a while of playing Minecraft on PC (which the laptop could barely play), I moved on to my Xbox 360. I played all sorts of games with my friends and my love for video games grew even bigger. After moving one more time, I started to play more and more games on my Dad's computer. At the time, I didn't know about Steam, but I eventually downloaded it. When I moved (to where I am now), I was still playing my Xbox, but the next-gen consoles started coming out. I was left in the dust whilst all of my friends on Xbox got either a Xbox One or PS4 (most of them Xbox, but when COD switched over to PS4 (early access or whatever), they moved the PS4). So after this, I started playing on Steam more and more. My Dad's laptop, which I had been using up to this point, could not handle much. The first game I downloaded was Roller Coaster Tycoon, and my love for video games on PC was growing. 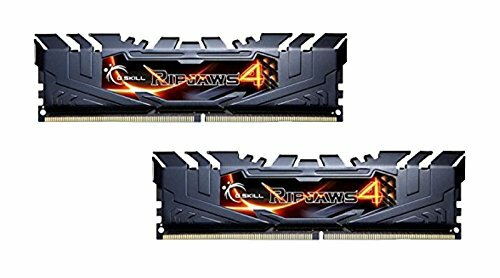 After watching countless YouTubers playing games like Rocket League, GTA, and others, I knew I wanted to build a PC for gaming and other things. I eventually found this website (1.5 years ago), and I started researching and researching constantly. I knew for a long time that the constant searching for parts wasn't going to improve my chances of getting a PC (the chances were pretty slim then), but I am sure glad I did. When Black Friday rolled around, I decided to REALLY plead for this PC. It was going to help me in college and with schoolwork, and I could game on it. I didn't really think I would of gotten this beast of a PC in the end. 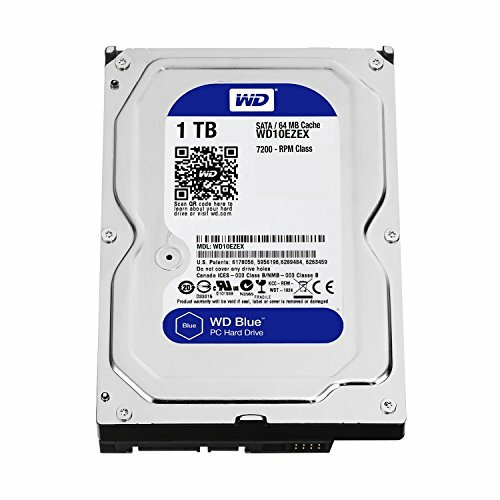 On Cyber Monday, I decided to order everything except for the CPU, GPU, and motherboard. I believe I got some good deals, and all of the parts were from Newegg and Best Buy. So a couple weeks ago, the parts came in and I was left there with PC parts I couldn't do anything with. I knew I had to get the other parts soon since I had to build a PC now, but I had to decide which CPU, motherboard, and GPU I could get. I did not originally think that I would get a 6600k and a 1060, but I had my hopes up the whole time. Eventually, when my birthday rolled around 3 days ago, me and my Dad took a trip down to good ol' Microcenter. I had never been in a store like that before, and it was a magical place. We were in the store for maybe 10 minutes (had to go somewhere), and I somehow walked out with a i5 6600k, Gigabyte Z170MX-Gaming 5, an Asus Dual 1060 6GB, and Windows 10 Home. Now it was time to build! WRONG. For the rest of the day, I had a blast at the Georgia Dome with my Dad, and we arrived at our house that night. The next day, I started building, but was interrupted by a band audition. After about 5 hours, I came back and got to work. That night, I had the whole PC built, and then the magical first POST happened. The silence of the PC astounded me... I thought it wasn't on, but low and behold it was on. That night, I was so excited, but my excitement quickly died out (for a short time, I still had a crazy PC). I tried to download the Windows 10 boot thing onto my flash drive, but the software wouldn't recognize it! After a while, I looked up the problem and realized that SanDisk USB drives do not work with the software sometimes. Now it was time to look at the key. Oh the Windows key... You know that little Microsoft logo scratch off that is above the key? Yeah. I scratched that off, and boom.... PART OF THE KEY WAS SCRATCHED OFF?!?!?! I got up in the morning, and with a new flash drive, I booted Windows up on my newly built computer. The speed of it booting up was so mind-blowing to me. I got on the new computer, put in my WiFi adapter, and the first thing I did was contact Microsoft about a genuine key. The rep I talked to was not any help. He told me that since I purchased the key from a third-party seller, I had to go to them and ask (Microcenter). At this point I was sort of pissed since the guy the night before told me that all my evidence was sufficient and they could solve it. Anyways, I got to a Microcenter rep, and he tells me to either contact Microsoft, or come to the store (1.5 hours away) and let them look at the scratched out key. I didn't want to go the store, so I recontacted Microsoft, and the rep I got took remote access of my computer. He looked at the evidence and then proceeded to give me a new key. I was so excited! After the Windows fiasco, I had my computer up and running with no problem. It took forever to download everything, but now I have most all of the programs and games downloaded. So that was my long story that you probably didn't read, but if you did, thanks! p.s. Yes I know the mouse in the picture is not the G502, it got delayed in shipping and I will update the picture with the new mouse. Very good CPU for $199.99 from Microcenter. Main purpose was for gaming and some productivity work, and the 6600k does both of those very good. No complaints at all. Very useful paired with my 6600k. It looks great with the white/black color scheme and it has absolutely no interference with the RAM. Relatively easy installation for a new builder and I am very happy with it so far! Looks great and has some good features. Don't have any gripes about it (yet) so 5 stars from me. The lighting on it is a LITTLE weird, but I like red so it isn't a big deal. First time builder so I can't really complain or compare it to anything, but it has been doing very well for me. RAM is RAM. Works great, X.M.P. profile picked up immediately. Looks great and for $71.99 (on Cyber Monday) you can't beat it. Does what it's supposed to do. The packaging it came in is weird for a first time builder since it is ONLY the hard drive (bought from Newegg), but it works great for a secondary storage solution! Great case for a first time builder. The instructions to install the power supply support wasn't very clear, but once built I love the look of it. 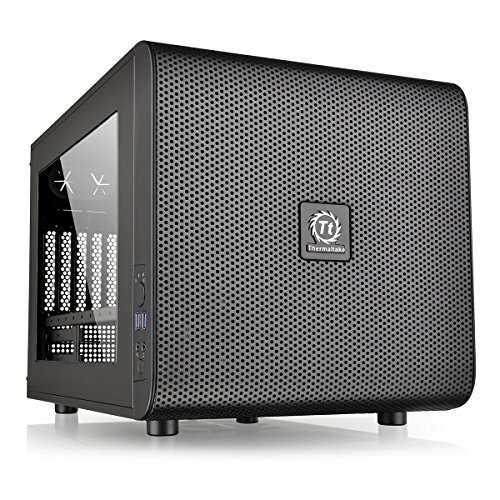 The window in the top gives the PC a unique look and I no doubt recommend this case because of the modularity. Great power supply. I'm a first time builder so I don't have much experience with PSUs, but the modular cables and non-modular power cable was pretty nice for a first time builder. I don't really like how they daisy-chained the cables, but it works fine and I have had no problems with them. The main 24-pin power cord is sort of large and bulky, but that doesn't matter that much. Had a rough experience with the key (bought from Microcenter) since it scratched off, but Microsoft support took care of me and got me a new one (after a few tries). It's Windows and it works well! Love the look of these fans, and I don't have much regret buying 4 of them since they were on sale, but it's nice to have extra just in case. 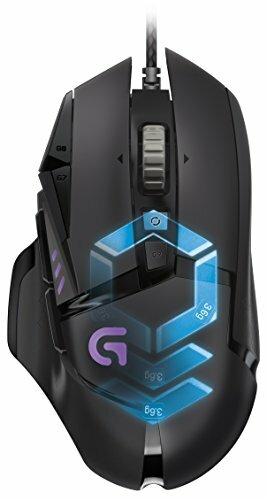 Coming from a laptop keyboard, the G710+ is an absolute wonder to use! I love the backlighting and the macro keys are nice for use in some games. The software is pretty easy to use, and the keyboard as a whole feels very solid! Although it is an older keyboard, it works great and I have no complaints at all. Got this mouse sort of late from Best Buy on Cyber Monday. Not much to say about it since I use an Xbox One controller for most of my games, but it is very nice to use, although I do not utilize the macro buttons at all. Love the sound of these headphones, and the mic isn't TOO bad. The only trouble I am having with it is that the cable regularly becomes tangled and it is very hard to straighten it out. When calling someone on Skype, the mic sometime doesn't work, but just unplugging and plugging it back in does the trick. Not much complaints except the cord and sounds very good to me.